There is entrepreneurial spirit in each & every one of us! When you have direction & no fears holding you back, you take action steps towards your dreams. Anybody can be an entrepreneur! There is entrepreneurial spirit in each and every one of us! The difference between those who take action on creating their dreams and those who don’t is one of two things. One is buying into one of the fears in the 7 areas of life and the other is not being clear on what it is that you would love to do. 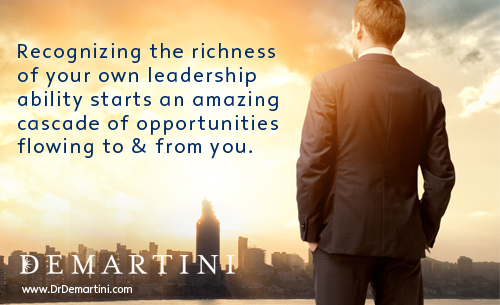 Activate the entrepreneur within yourself! Break through the 7 fears or learn how to become clear on what it is that is most inspiring to you. Become an entrepreneur and make money out of doing what you love so you get to love what you do. This is the fear of breaking away from accepted establishment norms, breaking established ethics and doing something you don’t believe will be acceptable to authority figures such as the church or government. With this fear you are subordinating or minimizing yourself to someone else. Thinking that you are not creative or imaginative enough or that you don’t have a degree or the right credentials can stop you to become an entrepreneur. This can stop us from seeing our real capacity and make us shrink away from taking action to grow our inspiring ideas. Having a fear that we are not going to succeed at our endeavors can sometimes be so overpowering that we lie to ourselves about our dreams and say to ourselves ‘it is not really important’. Staying in a job that does not inspire us, because of the fear of losing money or not making enough money can hinder our entrepreneurial spirit. People worry that family members may disapprove, that loved ones may leave and that their friends will reject them if they are not doing what these people see as ‘the right thing’. This is worrying about what others will think of, that people won’t like you or that you won’t fit in. Believing that someone else’s opinion is more important than yours can stop you from doing something that is really amazing. The fear of not having enough energy, not being strong enough or having the right look. To dissolve these fears you can write down 100 benefits of the thing that you fear occurring until you see that you get as many benefits as perceived drawbacks if the event occurs. Fear is perception that we will experience more pain than pleasure, more drawbacks then benefits or more losses than gains. In reality there are no one-sided events. When we balance our perceptions and we see that we get both challenge and support no matter the event, we dissolve the grip that fear has on our actions forward. 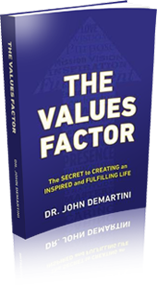 The Demartini Value Determination™ Process is a series of questions that can assist you to become crystal clear on what your most important areas of life are. When you know what they are you are able to then ask how you can make money out of doing what you most enjoy which leads you to living a life that inspires you. When you know what direction to take and you don’t have fear holding you back, you begin taking focused action steps towards your dreams. Perseverance to an outcome over time adds up to success. It is that simple to be an entrepreneur!